POSITION NOW FILLED WA’s Margaret River region is not only one of the world’s most famous wine regions but is also home to the greatest concentration of microbreweries in Australia too. Among them is Colonial Brewery, which enjoys one of the most spectacular setups of any in the country. As well as brewing for its own bar, it sends beers to the Colonial Group’s venues across WA and Victoria. And now the brewing team is looking to expand, which means there’s an opportunity for someone to work alongside trophy-winning brewer Justin Fox (pictured). 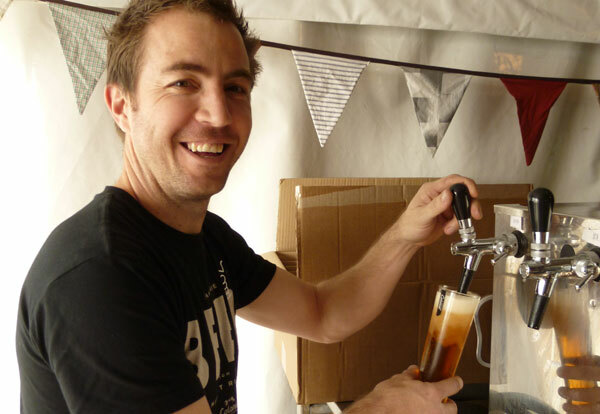 The Colonial Brewing Company in Margaret River is on the hunt for an assistant brewer! Itâs exciting times down here at our little patch of paradise and we need another beer lover to jump in the shoes of our current brewing guru Sorcha as she sets off on a new adventure. Primarily we are chasing someone driven and captured by their passion for craft beer, with at the least a sound knowledge of the fundamentals of brewing. Whilst candidates with qualifications and experience within the craft industry will be considered as a priority, those with right attitude who are willing to commit to formal studies in conjunction with the role may also be considered. The role is a full time position with all hours based in Margaret River (besides the odd beery shindig or festival)â¦ Under the guidance of our head brewer, you will primarily be responsible for the day to day functioning of the brewing plant from grain to brain, including brewing, fermentation monitoring, filtering, kegging and the never ending list of things to be cleaned and sanitised! With a second site on the way on the East Coast of Australia, a successful and driven candidate will have many opportunities for development and role progression within the first few years of the position. Passion for craft beer! And pride in the job of crafting it! Process driven mind and a good attention to detail. Ability to manage time effectively and get the job done unsupervised. then send your application through to Justin@colonialbrewingco.com.au. Remuneration commensurate with experience.